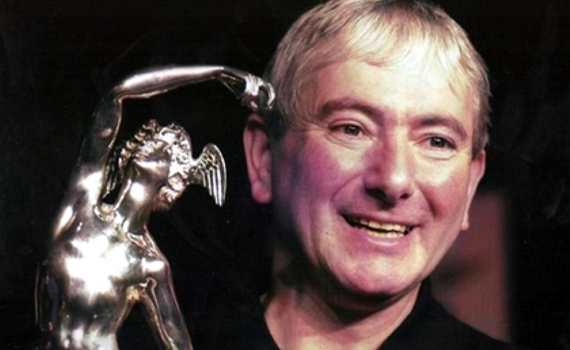 William Joseph "Joey" Dunlop, O.B.E., M.B.E. 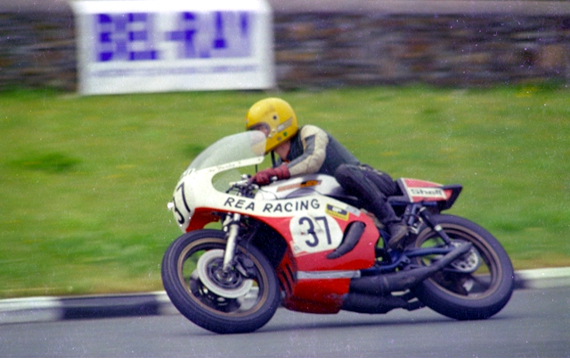 (February 25th 1952 - July 2nd 2000), was a world champion motorcycle racer from Ballymoney in Northern Ireland, best known for road racing. 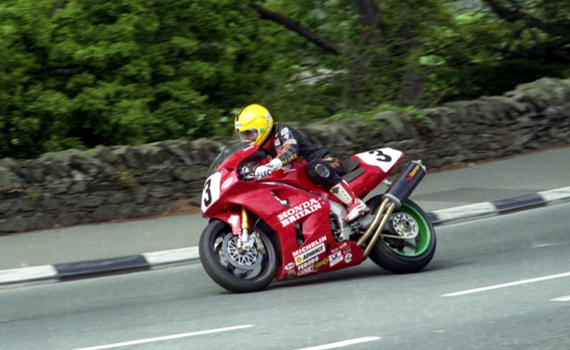 Best known throughout the sport as "Joey" or "Yer Maun", his achievements include three hat-tricks at the Isle of Man TT races (1985, 1988 and 2000), where he won a record of 26 races in total. 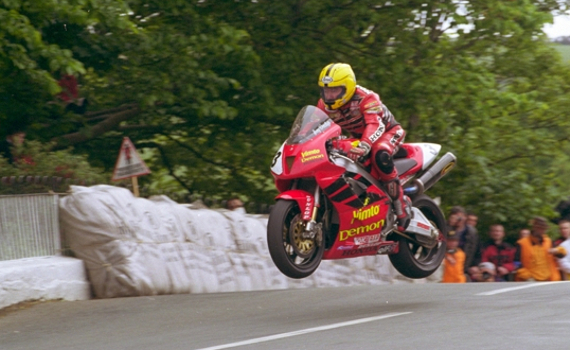 During Joey's career he won the Ulster Grand Prix 24 times and the North West 200 13 times. 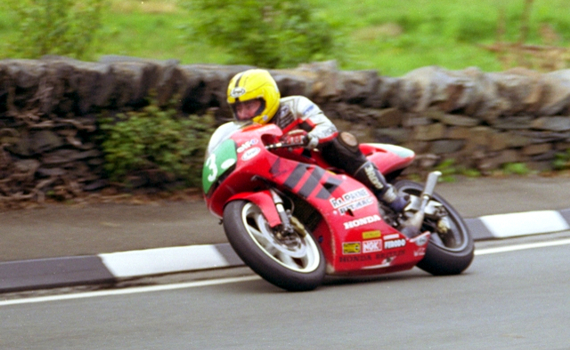 In 1986 Joey won a fifth consecutive TT Formula One world title. In 2005 he was voted the fifth greatest motorcycling icon ever by Motorcycle News. I hope people remember me that way"
Joey was awarded the M.B.E. in 1986 for his services to the sport, and in 1996 he was awarded the O.B.E. for his humanitarian work for children in Romanian orphanages. 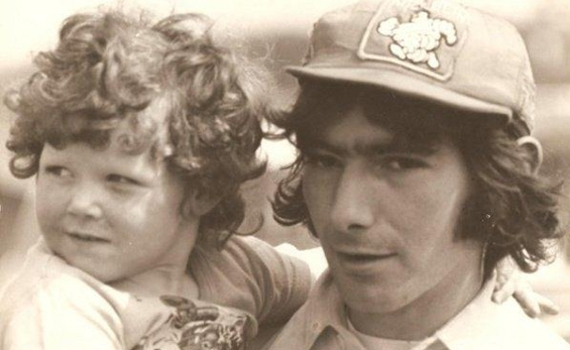 Joey Dunlop would often load up his race transporter and deliver clothing and food to the trouble spots of Bosnia and Romania. His humanitarian work was done without drawing attention to himself. 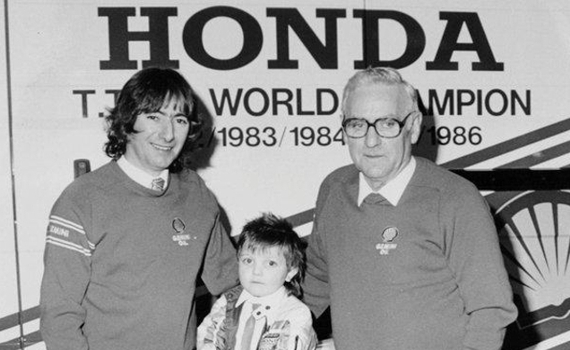 In January 2015, Joey was voted Northern Ireland's Greatest Ever Sports Star. "Many thanks to all of Joeys sponsors, without your help and support, he would not have achieved his goal in life, also to all of his mechanics who were with him every step in his success. To the photographers and writers, thank you. To Jeremy Gill, for designing the website, your support and continued hard work in bringing this website to the success it is, you have done a fantastic job and we look forward to working along side you in the future. And last but not least to you Joeys fans, he once said "if you don't have the fans you don't have a career", well he certainly had a career and that was all down to you for your generosity, kindness and support that you gave to him. " .... "in memory of a loving husband and Daddy"